The Dark Occult is a psychological driven horror game from RYM Games, it puts players in a constant state of anxiety that crescendos into raw panic and terror. 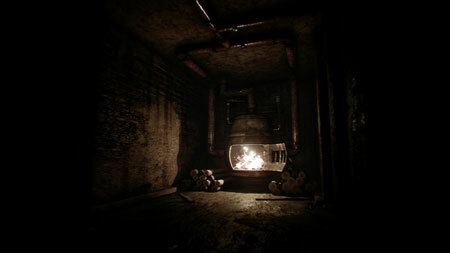 The game takes place in a decaying manor with demonic entities and strong ties to the occult. You will encounter grotesque creatures, who will take your life at any moment. Your only goal is to survive. Explore a seemingly abandoned house that is consumed with demonic activity. You are sent to the Atkinson House to investigate unusual happenings surrounding the death of the owner. Upon entering the house, you discover that they are unable to leave and are haunted by an incessant demonic woman who stalks them with murderous intent. The game fully immerses players in an environment filled with anxiety, panic, and real consequences that scar. A demonic woman who is tracking your every move, ready to strike. Destroy artifacts to escape, but watch your back, as the nightmare becomes more desperate the closer you get to liberation. If you get stuck in the game, check out the video walkthrough and gameplay for the game. This entry was posted in PC Games, Walkthrough and tagged The Dark Occult Cheats, The Dark Occult Cutscenes, The Dark Occult Endings, The Dark Occult Game, The Dark Occult Gameplay, The Dark Occult Guide, The Dark Occult Hints, The Dark Occult Jumpscares, The Dark Occult Review, The Dark Occult Solutions, The Dark Occult Strategy, The Dark Occult Tips, The Dark Occult Walkthrough by Marvin. Bookmark the permalink.